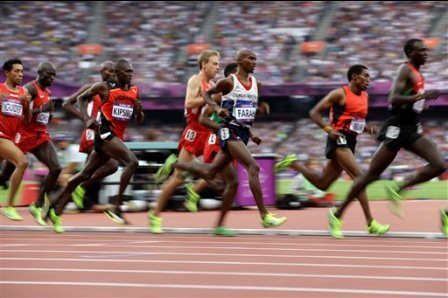 Begin with End in Mind: Mohamed Farah of Great Briton won the 10000 Metres and the 5000 Meters race by executing his race plan to perfection. He was in the last position during the initial part of the race but accelerated to the front in a systematic manner during the course of the race to finally win it. He conserved his energy during the initial laps in accordance with his race plan. He withstood the pressure from the fellow competitors who were pushing ahead right from the word go. He was confident about his plan and executed it in an exemplary manner. His performances were excellent examples of planning and execution. And ofcourse, he began with the end in mind!!! Fortitude & Determination: South African Oscar Pistorius made history during London 2012 when he became the first double amputee to compete in the athletics at an Olympics. 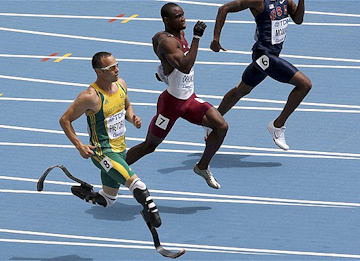 While the justness of the decision to allow him to compete in the Olympics athletics competition with his “technology aided carbon-fiber blades” has been questioned by the experts, he did get a standing ovation for the fortitude and determination he displayed in his life to reach to this level in spite of losing his legs below the knee when he was just 11 months old. His achievement in competing at the Olympics will surely inspire millions across the world to overcome their physical disabilities and to compete with the world. 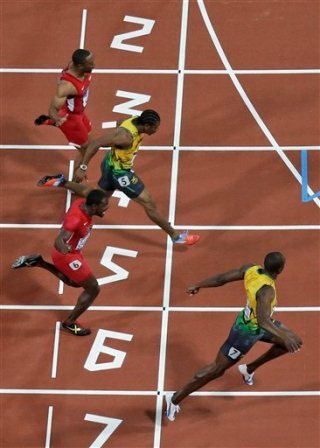 Spirit of Competition and Commeradire: Usain Bolt and Yohan Blake are the biggest competitors for the coveted tag of being the fastest runner. The results of their clashes are decided based on fractions of a second. They compete with each other to outperform the other. But their spirit of Competition and Commeradire is for the world to emulate. 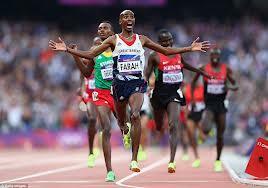 They have shown the world that healthy and honourable competition will always give a win-win result. Their success story definitely teach us many lessons on the importance of partnership, mutual respect, team spirit etc. which can be useful in our personal and professional lives. Olympics is a celebration of sports and games when the athletes from all over the world comes together to compete for medal, honor and glory. Their path to the Olympics it self teaches us the importance of self belief, hard work and dreaming big to achieve greatness in one’s life. Olympics is an event which has the potential to give many such important and effective lessons to one and all – whether you are a corporate manager, a student or a home maker and the ones listed above are only few of them from London 2012. This entry was posted in All, Management, Social by arshadtk. Bookmark the permalink.